Holy Sh*t, It’s One Week Away! | Keep It Up, David! Holy Sh*t, It’s One Week Away! So far, I’ve raised over $1,200 for an amazing cause, Whaley Children’s Center in Flint, Michigan. This is way more than I was ever expecting, and I’m blown away by the generosity of my readers, family, and friends. Your incredible donations spurred me to raise my goal on three separate occasions, and there’s still time to donate! Learn about my stair climb challenge and help me reach my ultimate goal – I’m $360 short – by clicking here! I’m ready for a little break from the StairMaster! My stair challenges have been ridiculously motivating, and all my time on the StairMaster certainly has made me feel prepared for them. But twice a week on a StairMaster, for two months, trying to outdo myself on every occasion… It’s exhausting.Exhausting in a good way, but still exhausting. I can’t wait to conquer next weekend’s stair challenge so I can give the StairMaster a rest for a little while! I only have a week left to prepare for my second stair challenge, so yesterday I hopped on the StairMaster and had a great training session… and broke all my previous records, which were just a few weeks old! This workout confirmed what I had already been thinking: If I’m going to make it 163 stories without stopping, I’m going to have to take is slow and steady. You’ll note that I only beat my floor record by 1 floor, but I stayed on the machine for 8 additional minutes, and that’s because I slowed down the speed and focused on endurance. After 36 minutes, I felt tired, but not collapse-to-the-floor tired (like I usually do), and that’s what I was shooting for. And I get to add a new building to my Skyscraper Collection! Today’s tower is the fifth tallest building in the world, and in a country full of skyscrapers, but has yet to be represented in my collection. Say hello to the International Commerce Centre in Hong Kong! 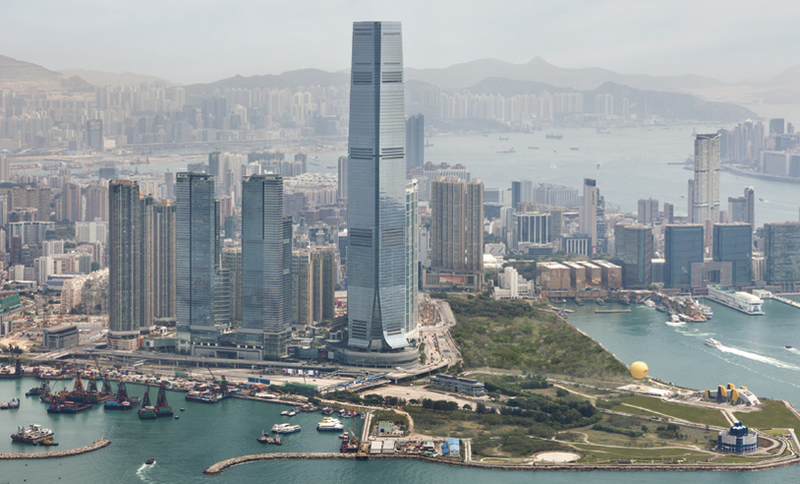 With 118 stories, the International Commerce Centre is the tallest building in Hong Kong. Most of the building is office space, but the top 15 stories are occupied by a super-swanky Ritz Carlton hotel. The 117th floor has their Presidential Suite, which is 4,000 square feet and comes with a personal butler. 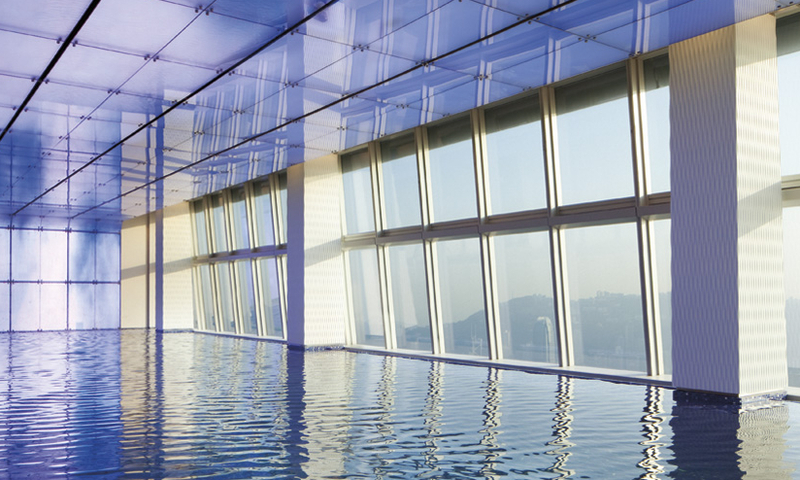 The 118th floor features the world’s highest bar (cheekily called Ozone), and the world’s highest swimming pool. I’d take a dip in this, wouldn’t you? After finishing on the StairMaster, I spent another 30 minutes lifting weights, so it was a fantastic day at the gym. I’m continuing to stay on track with my eating this week as well – the little pep talk I gave myself a few days ago seems to be working. And I got some lean protein from an unexpected source – free in the mail! Over a year ago, I wrote a post about trying salmon jerky for the first time, and because I enjoyed it, I mentioned how I wanted to try ahi tuna jerky, which I had seen at the store by hadn’t purchased. 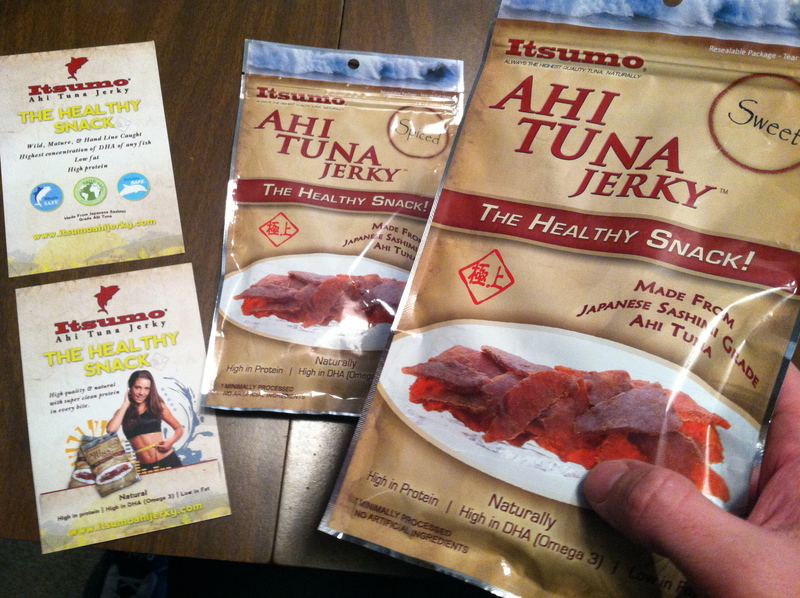 Last week, the Itsumo Ahi Jerky company reached out and offered to send me some ahi tuna jerky samples! Hells yeah! This stuff is good! It’s smoky and flavorful but not overly fishy-tasting. Check out their website – they were kind enough to set up a coupon code for my readers, so if you wanna buy some, plug in KEEPITUPDAVID during checkout, and you’ll get 10% off! Guess what else I had in my kitchen for the first time? 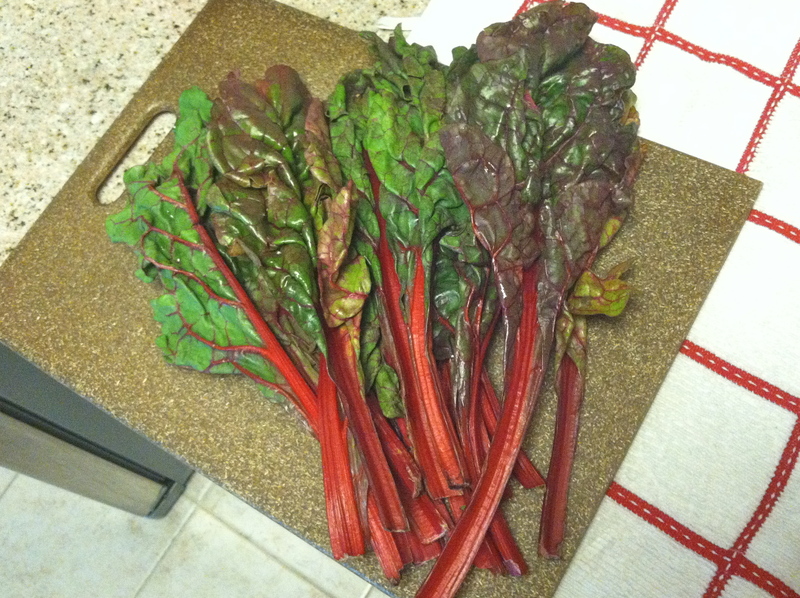 Chard! 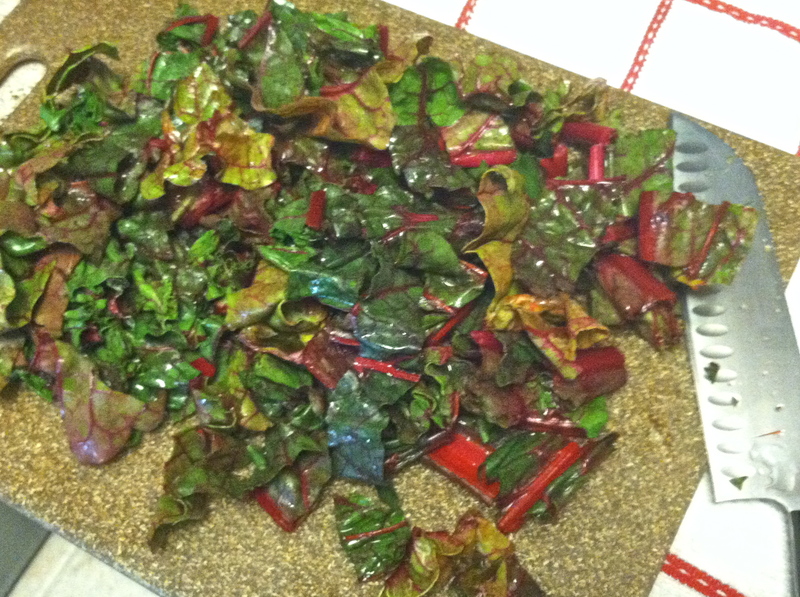 Chard is a nutritional powerhouse, and a green that you don’t eat raw. 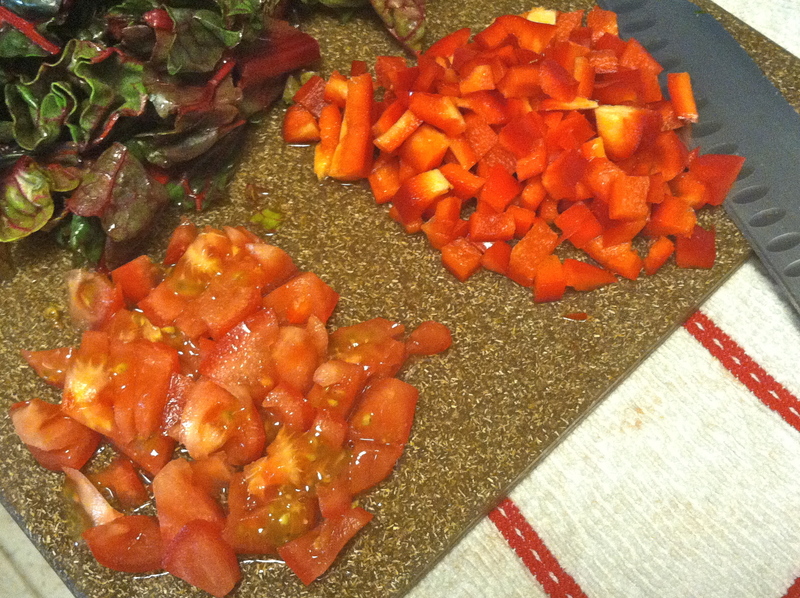 I removed the thickest parts of the stems and tossed ’em out, and later read that they’re edible, they just need to be cooked for a longer amount of time. Oops, my bad. 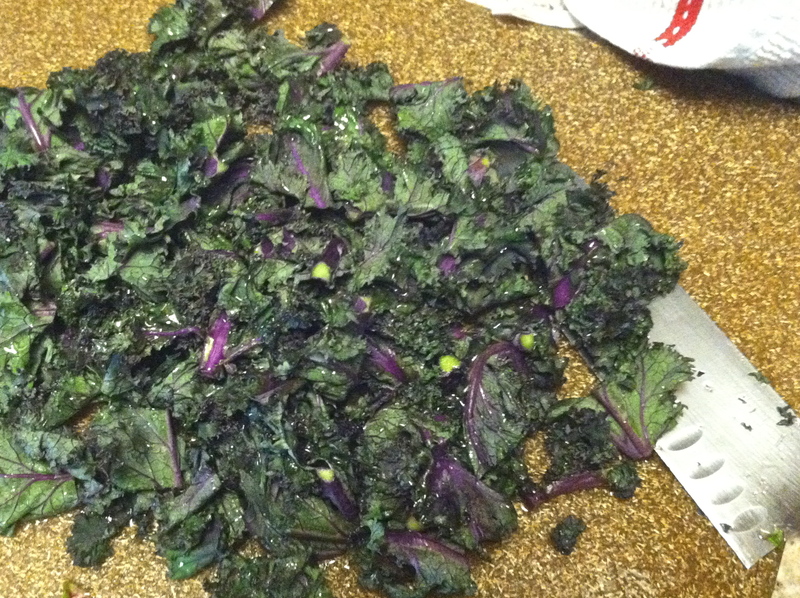 A healthy, easy, delicious side dish! 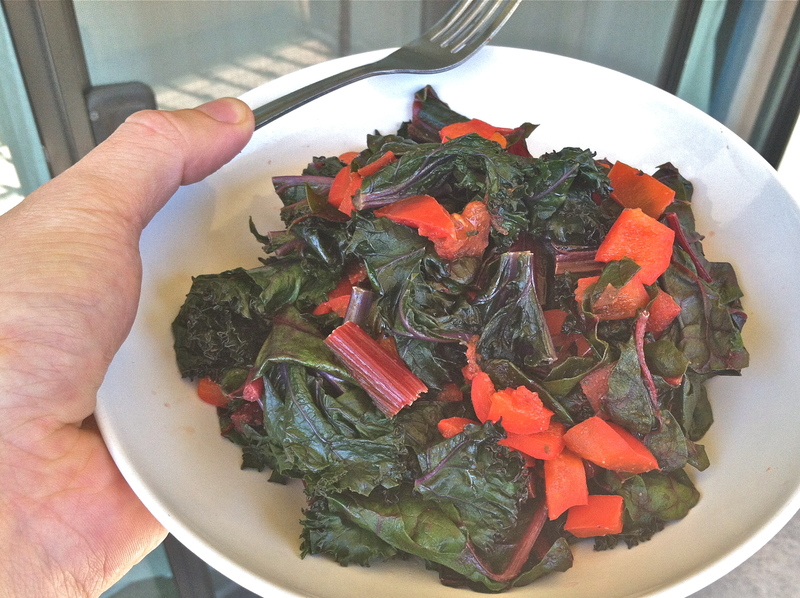 I should cook greens more often – I’d forgotten how much I like them! This entry was posted on Sunday, April 15th, 2012 at 12:23 am and is filed under Uncategorized. You can follow any responses to this entry through the RSS 2.0 feed. You can leave a response, or trackback from your own site. 2 Responses to Holy Sh*t, It’s One Week Away! Seriously! I’ve got to try that tuna.